I know I've probably said this many times on the blog, but I'll say it again here. I am a mask lover. I love to try all sorts of masks from the traditional sheet masks to the non-traditional jelly/spray/splash masks. I would like to try them all, if time and $ allows me to (masks aren't all cheap ya know)! I think I really like masks because whenever I use them, I get a little me time during my otherwise busy day. So it's really relaxing and a great way to wind down from a busy or stressful or whatever day. Anyways, I've always wanted to try this range of Leaders masks for a long time now. I've only ever tried 2 type of Leaders masks, and I knew I wanted to try more. However, to be honest, I didn't know what other Leaders masks I'd want to try (they aren't super expensive but aren't cheap either). 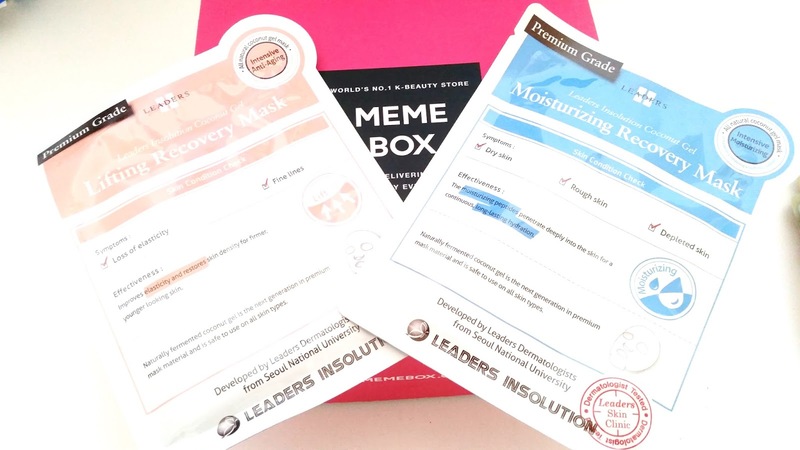 So, when Memebox came out with the Leaders Mask value set, I knew I wanted it. This set cost $25 and when I made the purchase, Memebox had a 30% off coupon code, so I got major savings off of this! Here's all the masks that came in the Leaders Mask Value set. The retail value of this box is suppose to be $41. With my 30% discount, this set only cost me $17.5! Since this box contains 10 masks, it comes out to be about $1.75 per mask, which is a pretty good deal! I really like that many of the masks came with 2 each, so I can fully test them out and see if I'll enjoy them or not. If you are new to Memebox, they are a beauty box company based in US, China, and South Korea. 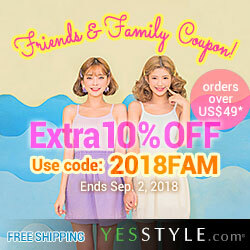 They sell non-subscription boxes and Korean beauty products via their online website. They also sell their own line of cosmetics and skin care products as well. 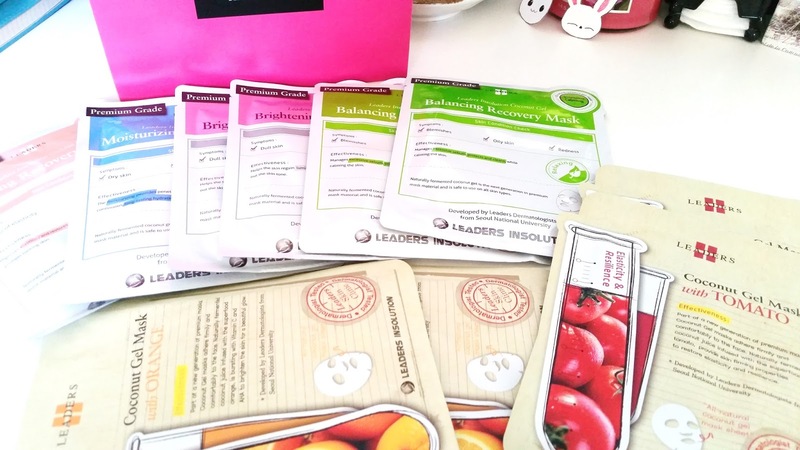 If you check my Memebox tag on the blog, you'll see all the Memebox boxes and products I've bought and reviewed. Product Description: A coconut gel mask formulated with mushroom extracts, whey protein, soy protein and more. It works to restore elasticity in the skin, replenish the skin's natural moisture and provide a barrier to keep moisture in. It contains active lifting ingredients to reduce the looks of fine line and strengthen the skin. This mask can also help balance out uneven skin tones as well. Product Description: A hydrating coconut gel mask formulated with various plant extracts to keep the skin moisturized and supple. It works to replenish dehydrated skin and leaving it with a natural glow. This mask contains amino acids to reinforce the skin's natural barrier and acts as a barrier to help seal in moisture. My Thoughts: These were the only 2 masks in this box that came by themselves. Probably won't be enough to test whether I truly like the mask or not but at least I can patch test a bit and get a first impression of it. I'm fairly interested in both masks. The Lifting mask would be a great one to compare to my other lifting/firming masks and how can one ever say no to a moisturizing mask? Product Description: A natural coconut gel mask formulated with flower and plant extracts to help manage excess sebum on the skin while clearing pores. It can also revitalize the skin leaving it fresh and smooth. This mask contains sugar maple extracts, calendula flower water, rose flower water and more to soothe the skin while repairing it from damages caused by the harsh environments. Product Description: Formulated with Niacinamide, this coconut gel mask works to brighten the skin and help with skin discoloration. It works to balance skin tones, restore vitality in skin and deliver rich vitamins to the skin. It contains mallow extract, peppermint leaf extract, and more to brighten the skin and even out skin discolorations. 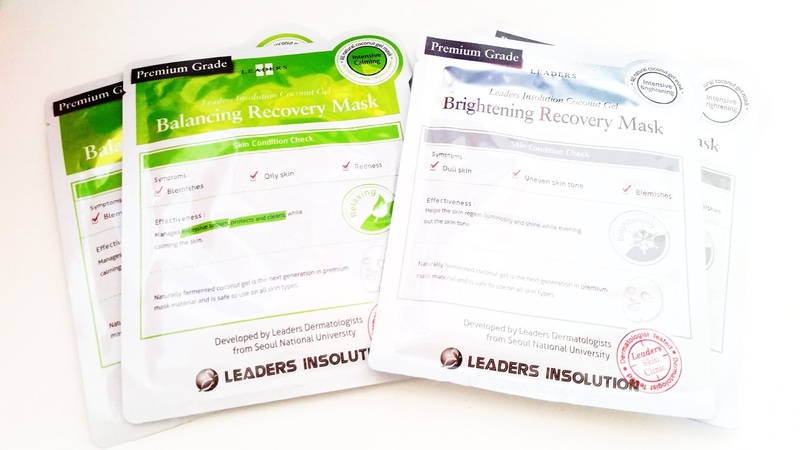 My Thoughts: I am very excited to try these 2 masks, especially the Balancing Recovery Mask. As someone with acne prone skin, I've read great reviews on how this mask can be very calming and help heal active acne. I will be happy to test it out to see how well it'll work against the other masks I have on hand. As for the brightening mask, it will be nice to see how well it performs in terms of brightening. Oh, and I will judge if either mask is worth their price to me! Product Description: Formulated with orange extracts this mask works to boost collagen on the skin and brightens it as well. It contains a lot of vitamins C and AHA to help treat dark spots on the skin and reduce their appearances. This mask can also help rejuvenate the skin while moisturizing it to provide a youthful glow. Product Description: This tomato mask works to add resilience to the skin while moisturizing it. The mask contains lycopene, which is a powerful antioxidant to help with skin elasticity and counter the effects of aging. The mask can also help reduce redness on the skin minimize pores and provide the skin with a natural glow. My Thoughts: These 2 masks sounds interesting and I am excited to try them. From patch test I know that the sheets are like hydro gel masks, but a little thinner than some which is interesting. 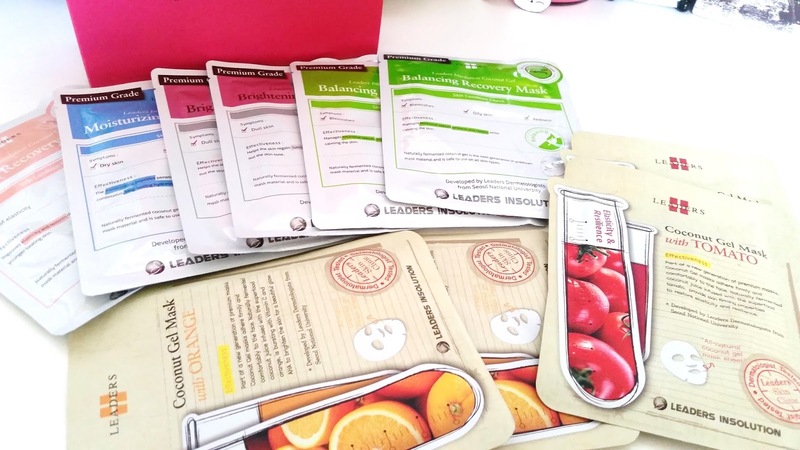 What's neat about these masks is that they don't contain paraben, artificial coloring, alcohol, or mineral oil. I've already tried the Tomato one, can't wait to share my reviews of it with you all! Final Thoughts: I am very happy this this set of Leaders masks. Since I've been wanting to try these for a while now, I am excited to see how well they perform and if will they live up the the hype. I've already started patch testing and trying the masks so reviews will follow soon! 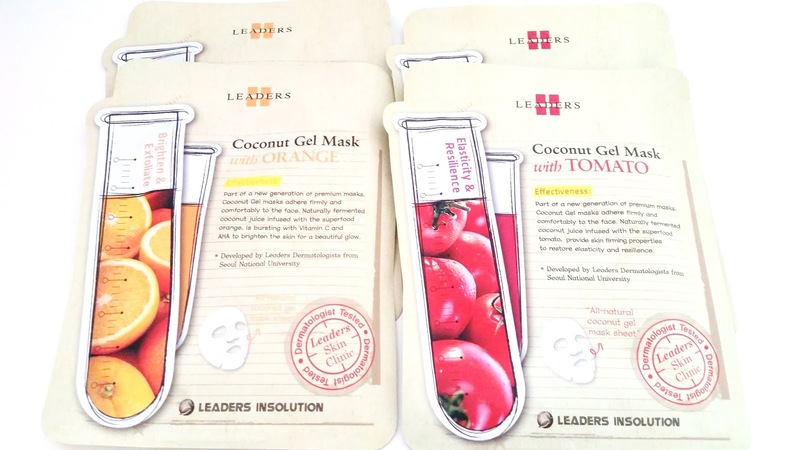 Have you tried these Leaders masks before? What are your thoughts on them? Visit our Deals Page for more savings! Disclosure: These products were purchased by me and all the opinions are honest and my own. This post may contain affiliate links. Clicking on those links before you shop mean DTC might get a small commission which helps to support the blog. For more information check out the full disclaimer. Was the blue one the Blueberry one?